Book of Dead is a video slot with 3 rows, 5 reels and up to 10 paylines, that transports the player in the times of the ancient Egypt. This slot, which follows archeologist Rich Wilde in his quest for the Book of Dead, has stunning graphics and attractive features, such as free spins, wild and scatter symbols and great chances of winning. You can try out Book of Dead at Casumo. Ninja Fruits is a 5 reel and 15 paylines with an popular theme borrowed from the well known mobile game, fruit slicing ninjas. This game can be tried out for free, or you can bet for as little as 15p per spin, making it accessible for any type of budget. The game comes with some very appealing features like free spins and a gambling option, which make slicing fruit even more entertaining and rewarding. Play Ninja Fruits at LeoVegas now! Viking Runercraft is, as expected, a Viking themes slot with 7 reels and 7 paylines. The eye-catching graphics of this slot is only a small part of what is so great about it. Players can start betting with 10p and go up to a brave £100. They are offered plenty of bonus modes from these Viking gods, having a chance of a jackpot up to 5000 times the stake. Explore Viking Runercraft at Casumo. The selection of games on offer is quite large, with over 60 titles available to be played. Although it is not as an impressive a number as other providers posses, such as Microgaming which has around 400 games in their library, the variety of themes and genres is remarkable. Play’n GO slots can be enjoyed not only on desktop, but also on mobile and tablet, as long they operate on iOS, Android or Windows. Also, the games are developed with HTML5, meaning that they are compatible with most device browsers. Casumo is a great choice if you want to take advantage of an amazing range of Play’n GO slots. 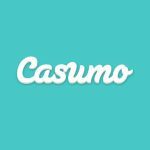 Casumo also offers a great welcome bonus for its new members with 20 free spins and the chance to double your first deposit up to £300. 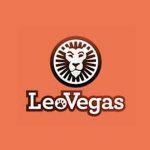 LeoVegas is a fairly new casino, but in less than 6 years of existing, has managed to gain an amazing reputation. 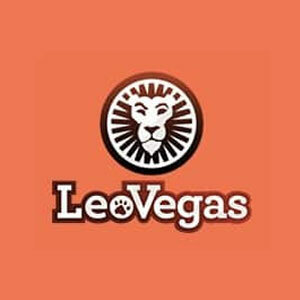 This casino offers top-quality slots from a diverse selection of providers, having almost 40 beautifully designed slots from Play’n GO available to be played.